Wow! These look really yummy...love this creamy filling..These filling snacks have definitely scored a century in my heart. Love this recipe.. I never knew stems of mushrooms also could be used..I always discard them. Perfect to pop in while watching TV. 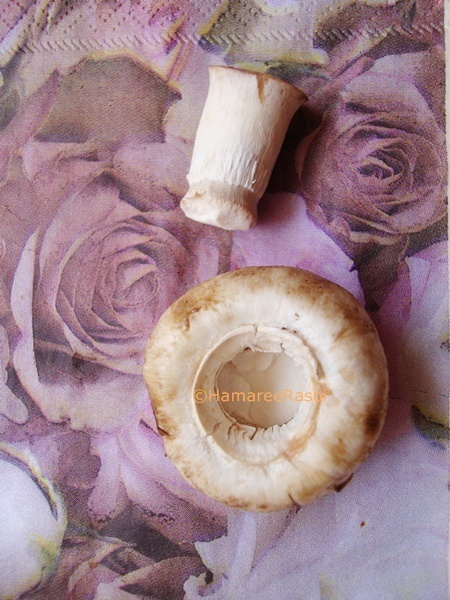 Very yummy looking, creamy and delicious mushroom. Perfect n delicious starter,Deepa..love it! Tempting mushrooms to get on with the IPL season. The prep is so detailed n super fast deepa. 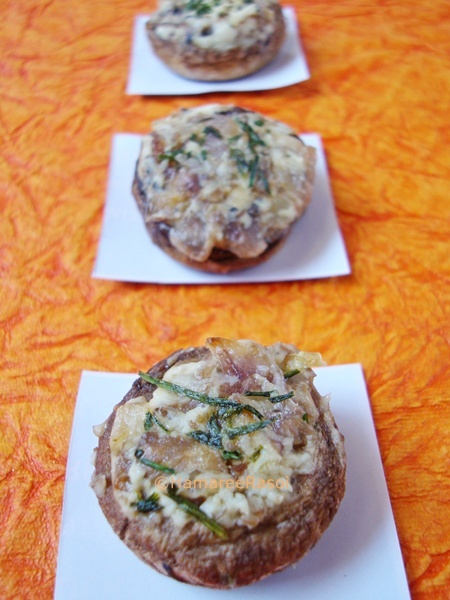 Stuffed mushrooms are my favs..Nicely done !! Yummy healthy starters, first time here and happy to follow U.. Irresistible starters, would love to have some rite now..
mmmmm...... mouth watering and delicious starter. You rock gal. my fav tapas with mushrooms..delish. 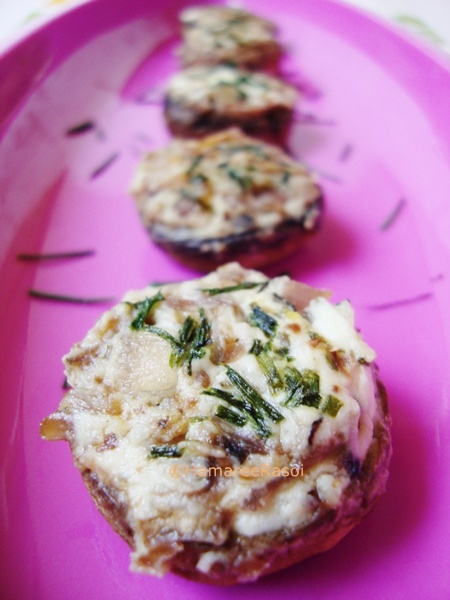 yuuum!I Love stuffed mushrooms and these look perfect! Hi Deepa ...I tried the open faced sandwich ...it was really good. As you asked the picture on the bottle was the part of poly bag...I believe it came from daal packet I got from indian store. I taped it to the bottle. 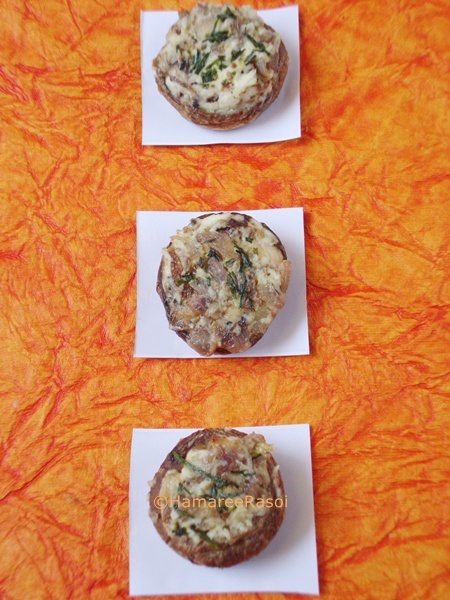 Stuffed mushrooms are delicious. A good glass of wine and these light appetizers, and its good. This is a great idea... I love mushrooms. Oh man.... Gonna have to try this sooon. Looks Yummy! Sure the mushrooms are very pretty and will make a great starter dish. Perfect!